Low-quality, poorly constructed weigh modules and load cells often result in expensive repairs and replacements, costly downtime and dissatisfied customers. So how do you avoid this? More importantly, what should you look for in a load cell or weighing assembly? Selection involves factors such as working environment and loading conditions. Based on these and other design specifications, AES Scales partners with Rice Lake Weighing Systems’ experienced engineering and design staff who has created the most comprehensive line of weigh modules available. Most companies concentrate on one or two types of mounts. We offer over 20 different mount styles, including the industry’s only waterproof-guaranteed modules. Coupled with our outstanding selection of load cells manufactured to the highest quality standards, our mounts come complete with everything you need to get started and the unbeatable service support to help you get it done. 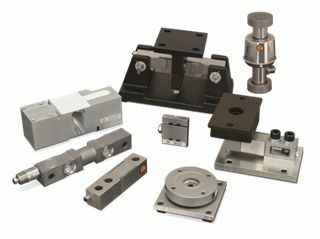 It is important that we provide the proper Load Cell or Weigh Module for your application. There are a lot of things to consider when choosing a Check Weigh Scale and we know what questions to ask.